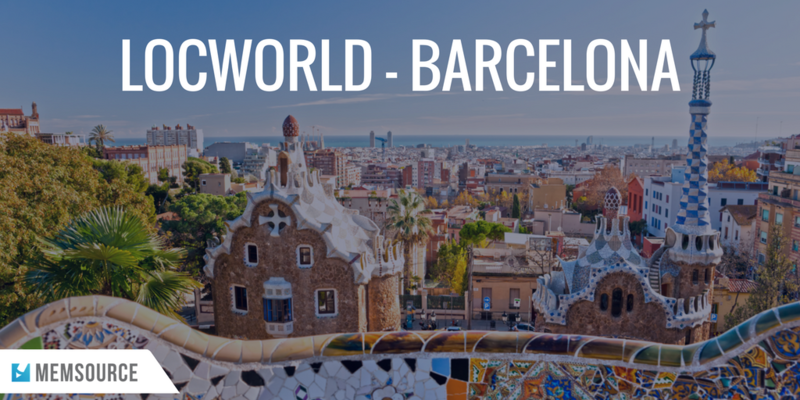 Several hundred professionals from around the world gathered in sunny Barcelona on June 14-16 at LocWorld34 to network and learn about some of the latest trends in translation and localization. The conference generated many interesting topics and conversations surrounding new business practices, ideas, and technological advancements, focused around the theme of Continuous Delivery. Some particularly interesting conversations arose, including the increased demand for data in localization strategy, the rapid rise of neural machine translation and how it will impact translations, and the localization industry’s challenge in being recognized as a valuable and essential strategy for global businesses. Continuing with the theme from Montreal, business metrics and ways of measuring quality continue to increase in importance. Measuring content ROI and customer experience were featured in a panel discussion with Booking.com, Starwood, EA, and Moravia, while technology solutions featured use cases of DQF and the importance of translation technology. The focus on data and quality also highlights the need for translation buyers to measure, quantify, and report on localization for senior management and key decision makers. 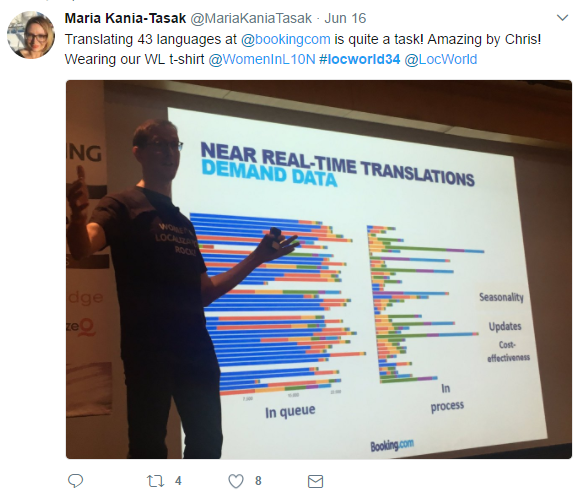 As the industry moves towards continuous translation, it’s clear that machine translation will play a greater and greater role in the process. The promise of neural machine translation is astounding and professionals are still learning about it, trying to understand how it works, and discovering what the implications will be. Neural MT is showing an increased fluency and ability to translate language combinations current MT engines can’t handle. However, John Tinsley from Iconic Translation Machines Ltd. noted that there are still plenty of situations where the older technology still outperforms neural MT. One of the primary challenges for experts is to understand why certain errors occur, even when knowing the inputs. In some ways, neural MT is still a mysterious black box, even to the developers. 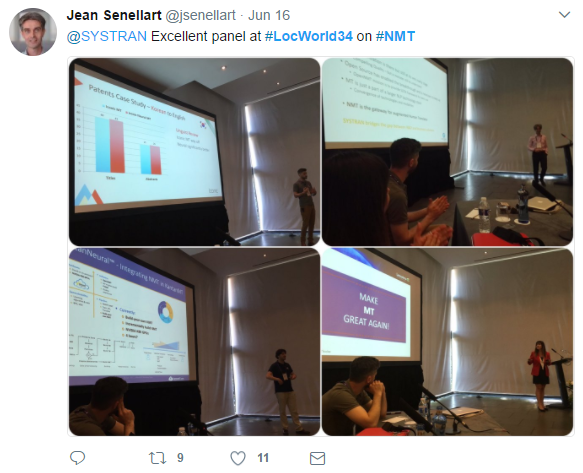 However, considering the quality of the output of from current systems, how much is still unknown about how neural MT works, and the future possibilities, it’s clear there are massive changes ahead for the localization industry. One of the highly discussed presentations was the second keynote titled “Where do I go to keep up with the ever-changing localization industry?”. A significant part of the discussion was focused on the relationship between the localization industry and the rest of the business world. In the eyes of the panelists, the translation industry is invisible. In a globalized society, the localization industry is key for businesses, but it’s still not viewed as a strategy for top management. This can be a challenge not only for the industry but also for localization and marketing managers in global businesses who understand the strategic value, ROI, and growth opportunities for their companies. While the discussion varied, the solutions could be grouped into two general areas: action and messaging. Action: Get going - As there are no champions of the cause traveling the world and spreading the gospel of localization, it is up to each member of the localization industry - translators, agencies, and localization managers and buyers - to evangelize not only for our individual roles but also for the industry as a whole. 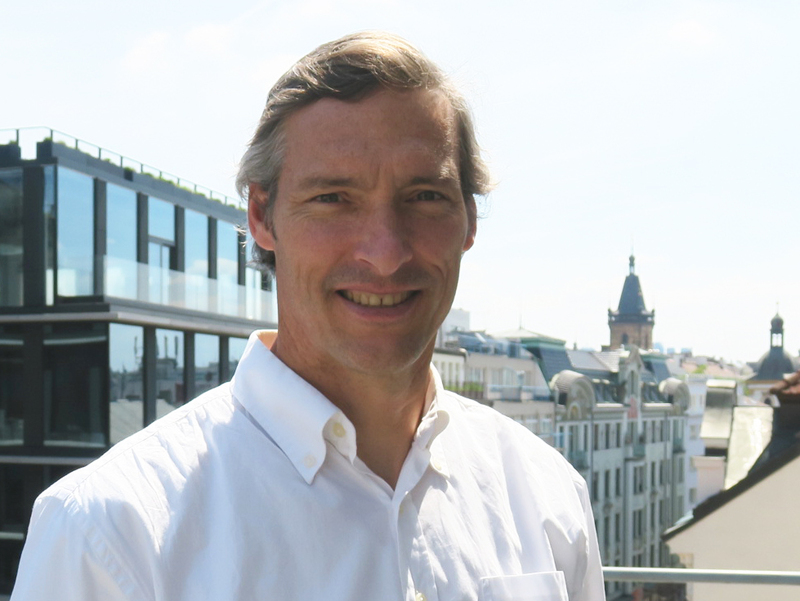 Messaging: Localization enables growth - The industry needs to emphasize that localization is a KEY component of any globalization strategy. It is one of the most important ways to personalize content and messaging for global audiences. Localization allows companies reach new people and new markets by speaking to them in their native languages, which results in growth and increased revenues. This is the language that decision-making executives speak. We all need to be evangelists. Yes, it will be self-serving in some ways, but the message will benefit everyone. Language matters.